Dundee Contemporary Arts (or DCA as it is often called for short) is an arts centre in the city of Dundee, Scotland, which houses a contemporary art gallery, a two-screen cinema, a print studio, a visual arts research facility and a thriving café bar. Our mission is to bring international art to a local audience in an accessible, friendly and supportive atmosphere. 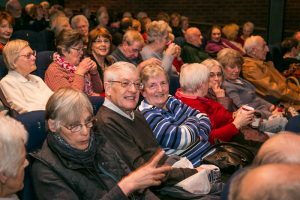 The Senior Citizen Kane Club first began at DCA in 2009 as a fortnightly, sociable Thursday morning event, with free refreshments, to encourage older audiences to experience the full range of DCA’s film programme. Although dedicated cinema “silver” screenings for older audiences take place at many cinemas across the UK, we were committed to the idea that those which took place at DCA would screen brand new films and a wide range of content – from mainstream to challenging art-house films. We were committed to the idea that [we would] screen brand new films and a wide range of content – from mainstream to challenging art-house films. Each screening is introduced by a member of the cinema team and over the years this personal contact has enabled us to encourage film appreciation, build trust in our film choices, and gain a greater understanding of just how varied this audience group is in terms of taste and life experience. Challenging even our own misconceptions of what older audiences might appreciate, we have learned from that this group that older people are often more risk-taking and open than those younger than them. Our Senior Citizen Kane audience has shown us that it is possible to push the boundaries of what we choose to screen them and have educated us as much as we might have them. In 2018 for example, while we had strong audiences for the more mainstream popular films such as Mamma Mia: Here We Go Again or Mary Queen of Scots, the turnout was equally strong for A Fantastic Woman, a film about a transgender woman in Chile and the documentary about separated triplets Three Identical Strangers. These screenings are so consistently popular, with over 3,500 annual admissions, that DCA is guaranteed an audience for even the most challenging films and film distributors will regularly ask, “will you be showing my film to your Seniors group?” While the wider film industry often talks about the “grey pound” in relation to lighter films made specifically for an older audience, we’ve found that this age demographic are as important a part of our box office income generation for the more challenging titles in our programme. DCA is guaranteed an audience for even the most challenging films and film distributors will regularly ask, “will you be showing my film to your Seniors group? Ten years later, this now weekly event, is a well-established part of the cultural calendar for older audiences in Dundee. 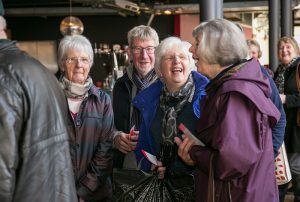 Our belief, that in older age maintaining new interests and social contacts is vital to well-being, has been confirmed by the new friendships which have formed between customers who first started coming to the screenings on their own and now regularly meet for lunch after to discuss the films. We are often also told by our regular attendees that the variety of storytelling we introduced them to also allows them to stay connected with their families and friends to contemporary issues. The feedback is always, even if the film is not to everyone’s taste, that they enjoyed the experience and are glad they came. New friendships have formed between customers who first started coming to the screenings on their own and now regularly meet for lunch after to discuss the films. 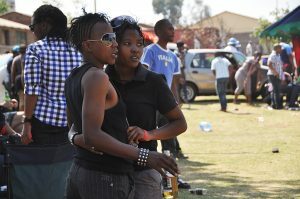 There is often an assumption that engaging with the arts has to involve making; critical viewing is often overlooked. We’ve seen first-hand the benefits which can occur when a film sparks a reaction – be it a memory, a conversation, or simply an emotion. To see this being achieved on a weekly basis is one of the most satisfying elements of our entire cinema programme and we look forward to welcoming our Senior Citizen Kaners every Thursday morning. 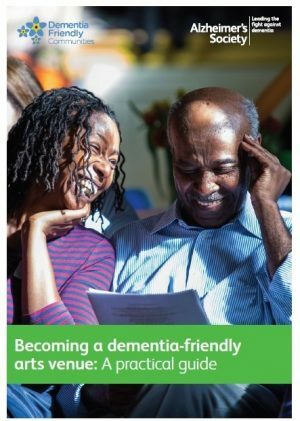 A practical guide by the Alzheimer's Society. 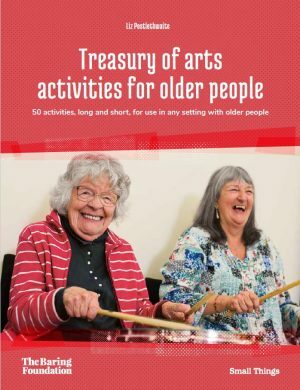 David Cutler reviews some of the projects and arts venues engaging older people in cinema in creative ways.